Xiaomi recently stirred things up in the market with some new devices. While it was expected that they will start with just the Mi3, they launched two other devices along with the Mi3. 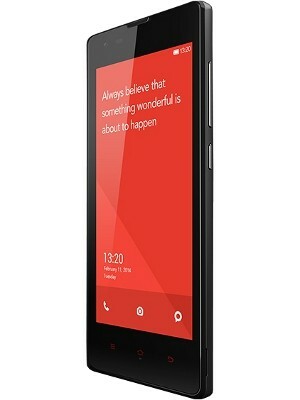 These devices were the large screen Redmi Note and the affordable Redmi 1S. The Redmi 1S comes at a price where it goes against the Moto E but one look at the spec sheet and you will know that the aim is set a bit higher. It comes with powerful Qualcomm Snapdragon 400 chipset running a quad core processor and it comes with 1 GB of RAM. It has got a 4.7 inch 720p display and gets an 8 megapixel camera which is a really rare thing in this segment. We take a look at some of the devices this new device will compete with. This device was launched a while back and literally stormed the market when it came out. It was launched at a very attractive price tag and offered decent specs that you would hardly find on any other device from a mainstream manufacturer. Right from the moment it was launched, it has been selling in good numbers. While until now we would recommend the Moto E to anyone looking for an affordable device, things might change with the Xiaomi Redmi 1S. You get a bigger display which has a higher resolution. You also get two extra cores and a high resolution camera. In fact you get hardware better than the Moto G which itself is an excellent value for money. Yes you might be wondering why we are including this device in this list but as we said, Xiaomi has been targeting higher with its devices. Even though the Redmi 1S is available for half the price, it offers almost similar specs as the Moto G. you get a slightly bigger display but not hideously big that would make the device hard to handle. The chipset is same although the quad core processor runs at a higher clock speed on the Redmi 1S. There are some areas where the Moto G lags behind its rivals. The camera on the device is bad and has a low resolution. 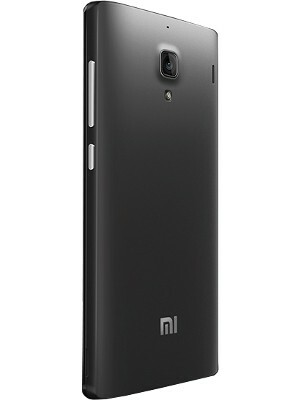 The Xiaomi device comes with an 8 megapixel camera which is considerably better than the camera you would find on the Moto G. Also you get the option to add a micro SD card on the Redmi 1S, a feature which is missing on the Moto G.
This device came not very long back and the spec sheet was decent considering it is a low end device. It comes with a 4 inch display with 480 x 800 pixel resolution. This is a pretty average display but the size would suit people who are looking to use their phone as just a phone and nothing more. To handle your everyday jobs, the hardware of this device is pretty decent. It has got a Qualcomm Snapdragon 200 chipset which ticks with a quad core processor at 1.2 GHz. It comes with 1 GB of RAM and 4 GB of on-board storage. Obviously 4 GB won’t suffice anyone so there is the option to add a micro SD card as well. While the spec sheet of this device appears to be decent, the Xiaomi device betters it here at the same price point. The camera on Lava has a 5 megapixel resolution which is less than the Redmi 1S. It also has a smaller battery. It comes with android 4.3 preinstalled and would soon receive the update to android 4.4 KitKat. Windows Phone devices are rare and this device has been around for a while now. Although most of us count on android for our primary devices, Windows Phone devices aren’t bad for someone looking for basic smartphone operations. Operations like web browsing, messaging, calling, mailing and consuming multimedia are effortless on the Windows Phone operating system and the tiled interface looks pretty. The Lumia 525 is one of the most affordable windows phone smartphones you can buy and it is quite a decent one. This device came out only a few weeks back and we were quite impressed with the device. It runs the latest version of Windows Phone which is quite impressive and has improved considerably over previous version. The hardware that you get for the price is also fairly powerful. It has got a Qualcomm Snapdragon 200 chipset with a quad core processor running at a clock speed of 1.2 GHz. It comes with 1 GB of RAM which is more than plenty for the device. It comes with an 8 megapixel primary camera which can yield some decent photos. This is a dual SIM device and you know already that it is a rare feature on Windows Phone devices. It has got a very attractive design and it looks premium when compared to other devices in this price band. It is the lightest Windows Phone device weighing just 100 Gms and is quite slim at just 7 mm. it comes with a 4.7 inch 720p display which is similar to what you find on the Xiaomi device. It is available for slightly higher price as compared to the Redmi 1S but the difference isn’t huge and it can be a good alternative if you are keeping windows as an option.